When my parents visited my wife and I, we took them to various places around Seoul. 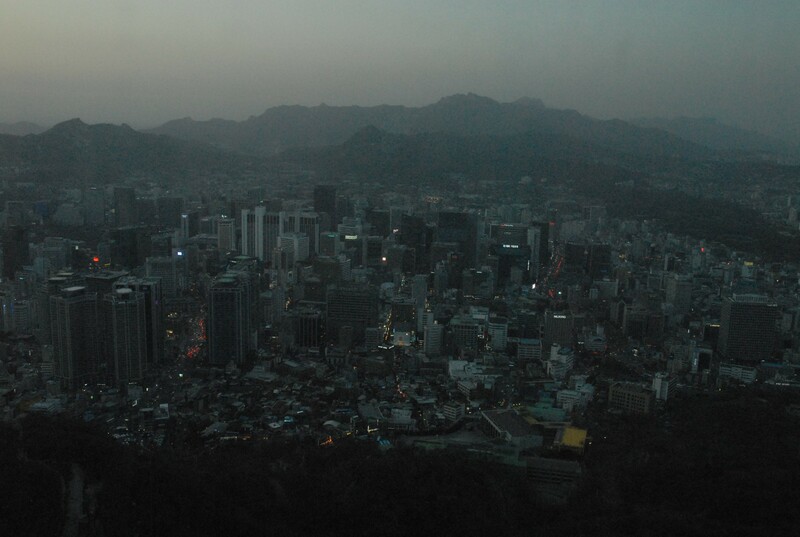 N Seoul Tower was our last stop on this day, so I got some pictures of Seoul beginning to light up as night descended. This view is looking roughly north.